North Atlantic Books, 9781583949856, 696pp. 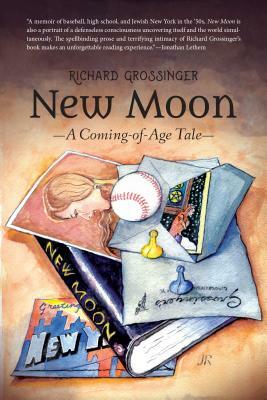 A native of New York City, Richard Grossinger attended Amherst College and the University of Michigan, receiving a BA in English (1966) and a PhD in anthropology (1975). He wrote his doctoral thesis on his fieldwork with fishermen in Eastern Maine, after which he taught for two years at the University of Maine at Portland-Gorham and five years at Goddard College in Vermont. With his wife, Lindy Hough, he is cofounding publisher of North Atlantic Books and its forerunner, the journal Io. His works include early books of experimental prose; a series of titles on holistic medicine, cosmology, and embryology; two memoirs; and recent books re-exploring these themes, related topics, and aspects of contemporary politics and pop culture. After living in Berkeley, California, from 1976 for thirty-eight years, Grossinger and Hough moved back to Portland, Maine, in 2014. They have also lived part-time in Manset, Maine, since 2001. Their children are Robin Grossinger, a historical geographer at San Francisco Estuary Institute, and Miranda July, a writer, film director, and conceptual artist.